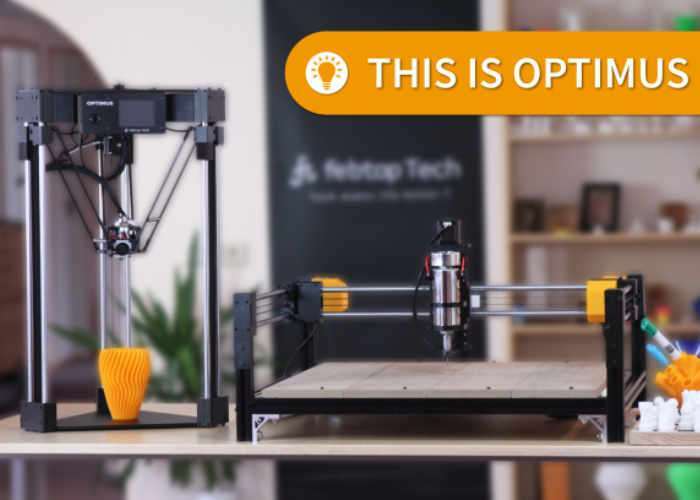 Developers, makers and hobbyists looking for a desktop CNC cutter, 3D printer and laser engraver may be interested in any new modular system called the Optimus which has been created by Febtop Tech based in Stockholm Sweden. Recently launched on the Indiegogo crowdfunding website the campaign has already raised over $150,000 thanks to over 200 backers and provide three systems in one. Watch the demonstration video below to learn more about the 3-in 1 machine with a smart modular design that allows it to be used as a 3D printer, laser cutter and CNC mill. With the Optimus we have put the three top tools requested by makers (3D printer, Laser cutter and CNC mill) into one machine and made it affordable enough for individuals. All without compromising the performance or quality of any of the tools. We wanted to make a machine that could help you make your own products, going from an idea, to a prototype and to a final product. We wanted the machine to be capable of modifying your personal items, like engraving your own name on a bag. But most of all we wanted a machine that could build things you can not find in stores, like this inductive chess game, which are fully made with the Optimus. The Optimus has two different configurations, a vertical delta formation and a horizontal Cartesian configuration. Each form is optimized for for a certain tool. The delta for 3D printing and the Cartesian for laser cutting and CNC. By making it easy to rebuild into two different configurations we could fit a 3D printer, laser cutter and CNC mill into the same machine. The transformation can be done in less than 10 min. • Made it so that after transforming the machine it can calibrate itself so you do not have to spend time and effort every time tuning it in. No need for manual calibration. • We tested three Optimus machines, assembling/disassembling each of them more than 500 times and it had no effect on the performance. If you transform once a week, 500 times means 10 years! Because of the metal body, transforming it a large number of times will not affect its accuracy. But it is important to fasten the screws tight each time! • Made it extra strong and rigid for the CNC with a unique mechanical design as shown below.